First and foremost, I have to thank the ever-so-amazing Kate from Drivel about Frivol for procuring these charming eyeshadow sticks. 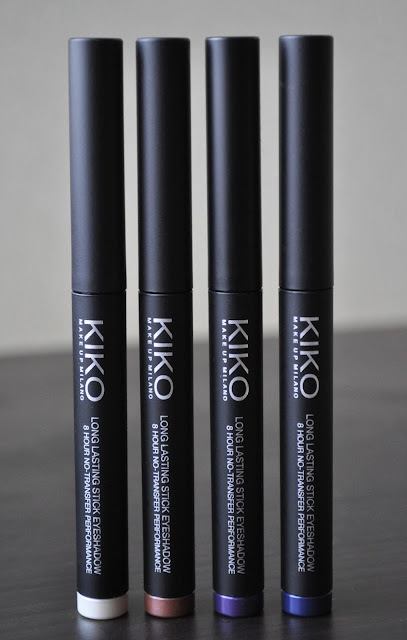 I own a few of products from KikoMake Up Milano, and I must say the brand never disappoints! From left to right: 01, 05, 16, 17. 01 Pearly White: a pearlized, off-white with white sparkles. 05 Rosy Brown: a frosty, rosy-taupe-brown with multi-colored sparkles. 16 Purple: a deep, cool-toned purple with multi-colored sparkles. 17 Midnight Blue: a deep, midnight blue with copper sparkles. 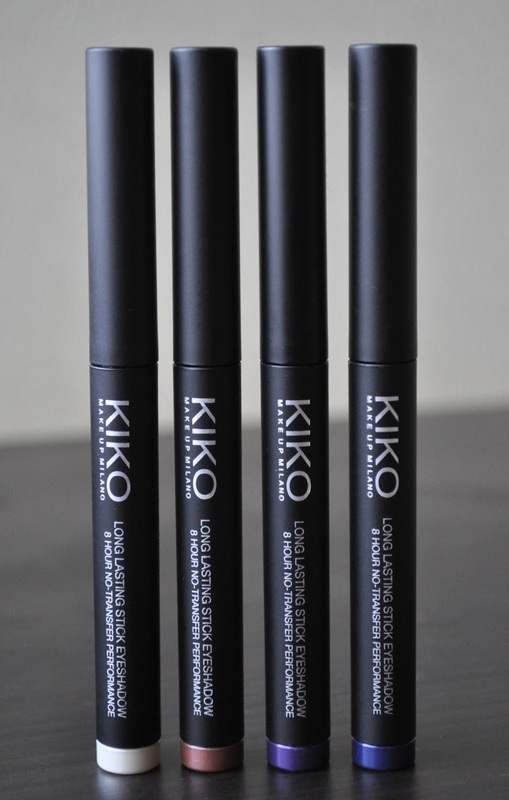 Kiko Make Up Milano Long-Lasting Stick Eyeshadows don't crease (either worn alone, or as a base), and wear for about 5-6 hours before some minor fading. I'll definitely be purchasing more shades from the collection. and agree, Kiko hardly ever disappoints!!! I want a few more shades of these stick shadows. These are some of my favorite products from Kiko! 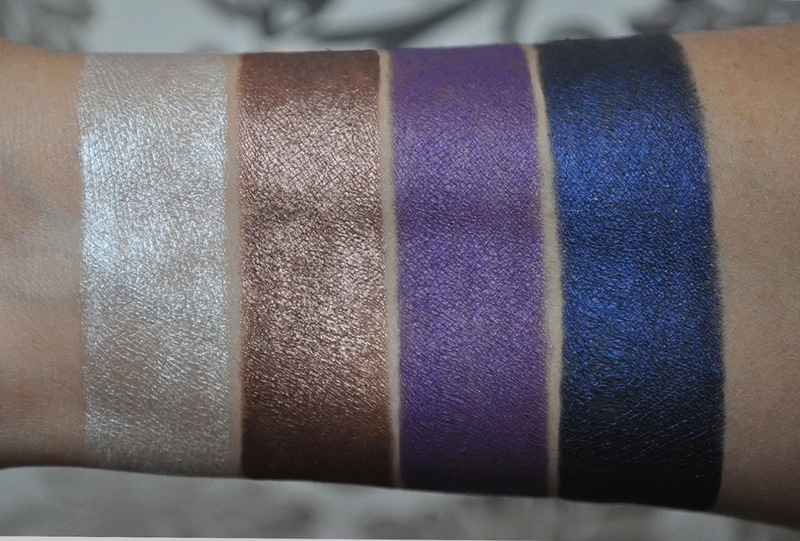 And their Water Eyeshadows (especially if used wet) also have incredible color payoff. I wish Kiko were available over in Japan. I have to rely on trips and friends to get my hands on their products. That BLUE. It's so, so, so stunning! The Copper sparkles really make it unique. Lovely swatches. Definitely on my to buy list when I visit Italy. You definitely need to pick a few of these up! Also, Kiko's blushers and eye shadows are lovely as well!